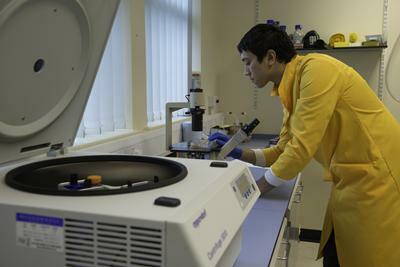 We have designed our 4-year Integrated PhD in Stem Cell Research to produce the next generation of leaders in stem cell research, one of the major research strengths of the University of Southampton. Research themes include stem cells (embryonic, fetal and adult), human development and regenerative medicine. 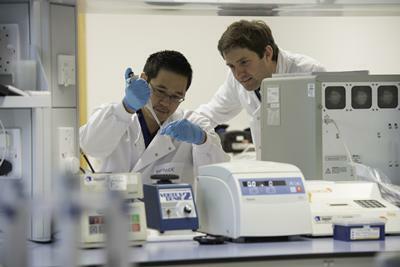 Our research is strongly multidisciplinary with a focus at the life sciences and physical sciences interface. Students enrolled on this programme will gain deep understanding of translational stem cell biology, and will learn to communicate effectively with biologists, clinicians, bioengineers and physical scientists. The PhD programme is structured to provide broad training in the intellectual and practical basis of scientific research, as well as a focused individual research experience. During Year 1 of the programme, we provide a combination of taught modules and choice of three 10-week laboratory rotations, followed by a ‘'full research project'' in Years 2, 3, 4. An intermediate award of MRes is made after successful completion of Year 1 of the programme. Further details of the programme can be found here. 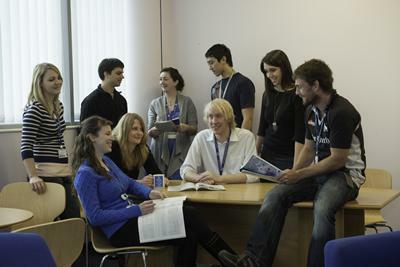 The University of Southampton has a thriving international community, comprising of both undergraduate and postgraduate students. To promote further academic collaboration at the international level, the University has established close links with Colombian Universities and a partnership agreement with the Santander Universities that facilitates links and enables opportunities between Latin America, Spain, Portugal, and the UK. Specific support is offered for international students to ensure that they are made as welcome as possible and have a smooth introduction to their studies in Southampton and living in the UK.